News doesn’t pause for the weekend. New blasters get announced, wars happen, and weird things come on the radar. First up is an update on the Adventure Force Accelerator, and then some new water blasters that are coming on shelves and may be worth your attention. Retooling the product at the factory. My earlier review of the Accelerator noted the feeding issues with Rival magazines – a stronger spring on the lever is needed to overcome the pressure applied to the pusher by the mag spring. In addition, the wheel fit on the motor shafts has proven less than optimal – stock blasters have had loose fits, and running motors on anything beyond stock has resulted in wheels coming off (see Out of Darts) or moving in and binding to the motor cage after the friction led to plastic melting together. In that case (mine! ), this automatically led to the motors stalling and frying. We wanted to provide you with a quick update regarding the Tactical Strike gear shipped to you. Dart Zone will have an updated version of the blaster at their booth during Toy Fair to demo! Internal adjustments have been made to the tooling to permit more efficient usage with the compatible magazines. Below is a quick video to share that highlights the improved performance already addressed in the production. So Prime Time Toys is making a good effort to fix the issues quickly – among other things, the original planned release date (this fall) got moved up to this month at the behest of retailers. So while there are issues with the first run, future ones should be better able to deliver on the promises of being a rival to Rival. With the new year comes the reshelving at various stores. Nerf seems to be content with pump and shoot water blasters bearing the brand name. This leaves other companies having to make their own unique designs or trying to improve performance in order to justify taking up shelf space. Or, in the case of the large box stores, making things as part of their in-house brand (see Adventure Force for Walmart, using Prime Time Toys and Buzz Bee Toys blasters, among other things). In the case of Adventure Force, they’re using Buzz Bee for the Power Raider. It has a separate, pressurized firing chamber, and has a red dot sight. It also uses the same mounting rail as other recent Buzz Bee offerings. Presumably, the red dot sight is waterproof. Testing will commence once it gets a little warmer. It is $20. 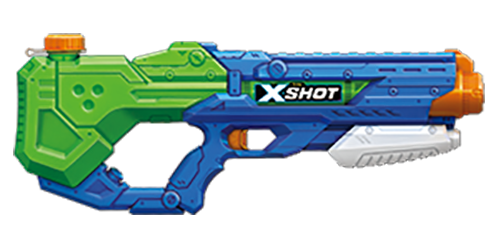 Also at Walmart (but under its own name) is the Xshot Hydro Jet. It uses a large, pressurized reservoir instead of a separate chamber. However, it still offers a rather large supply. I want to say it was $15, but hopefully after this weekend I can do a real review and have all the relevant information posted. Getting the upperhand in competition has never been easier with this SuperMax Power Water Blaster. The pressurized water blaster action will send water soaring up to 38 feet! The Battle Monster has two blast modes – Constant Blasting, and Pump Action, and comes with adjustable spray nozzles. 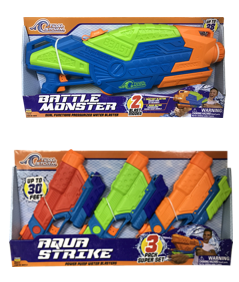 Aqua Strike takes squirt guns to a whole new level! The compact Aqua Strike blasters offer great value featuring high performance and superior design – great for a sneak attack or to pack away for a travel day. The 3-pack super set comes with three different team colors, Orange team, Green team, and Red team. 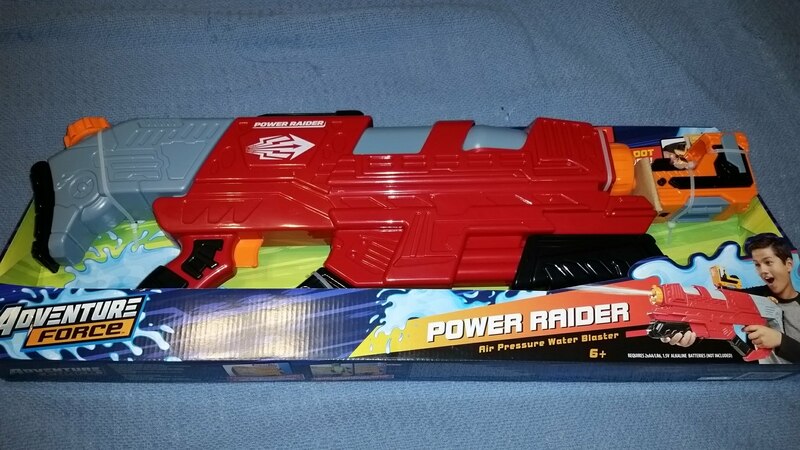 This entry was posted in Dart Blasters, News/Updates, Water Blasters and tagged 2018, adventure force, buzz bee, prime time toys, super soaker, water blaster, Water Warriors on January 28, 2018 by BuffdaddyNerf. Nerf Rival Prometheus & Hades Press Release! Nerf News: Zombie-Strike Scravenger and Modulus Evader Revealed!